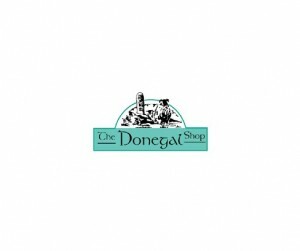 The Donegal Shop prides itself in being a 100% independently owned Irish family business set up by Carol Meagle in 1995, and now run by Carol and her daughter Linda-Mae. We specialize in Irish made products in particular Irish wool, knitwear and tweeds with a focus on products that are made in Donegal. We have a wide range of Aran knitwear, both sweaters and accessories. Our shop is a little piece of Donegal in Dublin, full of lots of interesting Irish artisan wool products, we have products sourced from around the country you won’t see everywhere else. We also stock hand knitted products from local knitters in Dublin and Donegal. We estimate shipping times, deliveries to the USA can take up to 21 days during busy periods but generally take 5-10 days, we cannot guarantee shipping times. The Donegal Shop, 2nd Floor, St. Stephen’s Green Centre, Dublin 2, Republic Of Ireland.